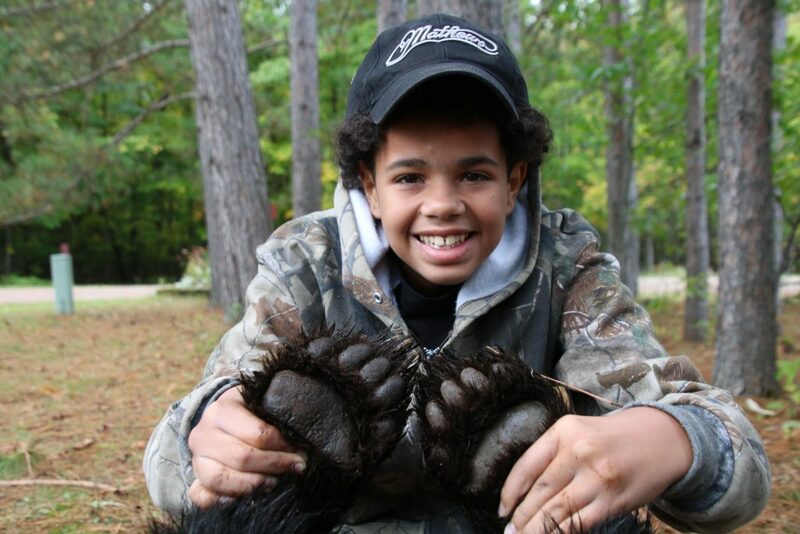 I had first heard about Kicking Bear in the fall of 2016 through a family friend who knew of my passion for the Lord as well as the outdoors and suggested it may be of interest to me. 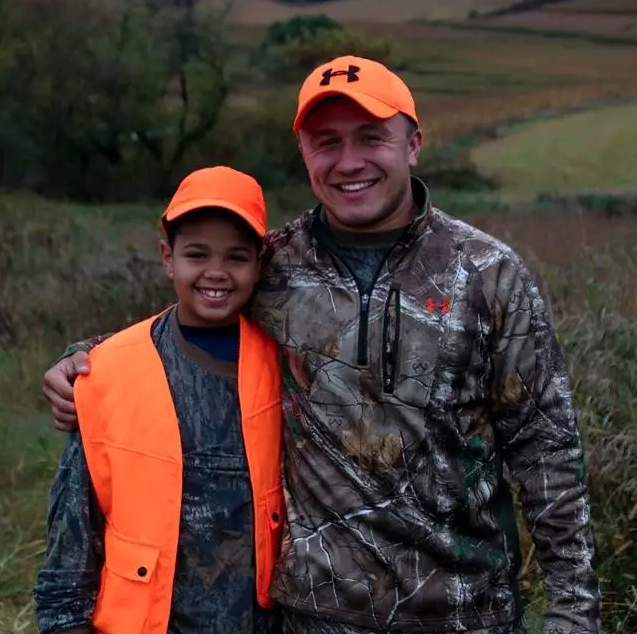 I was quick to agree and decided to participate as a mentor in the 2016 Kicking Bear Youth Hunt in Whitehall, Wisconsin, where I would meet my mentee, Takobie. Takobie, who was 12 years old at the time, got involved with Kicking Bear through the Boys and Girls Club of La Crosse. 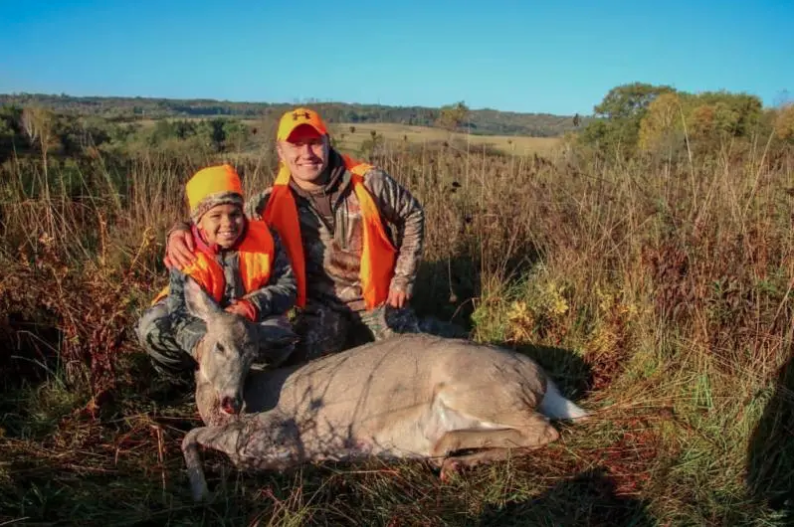 Takobie did not grow up in a home with a father figure to take him into the outdoors, so prior to this hunt he had never spent much time in the woods, much less shoot a gun. On Sunday morning, the weather had cleared and we were immediately surrounded by deer, but none of them would present a good shot opportunity. Takobie learned to be patient and to wait for the right shot opportunity. This patience paid off when a mature doe worked her way into a clearing 50 yards away broadside, presenting Takobie with a perfect shot. Bang! He made a perfectly placed shot on his first deer ever. The raw excitement in his eyes after I assured him of his lethal shot was something that I will never forget. This hunt was the first of many adventures that Takobie and I would share together over the course of the next two years. 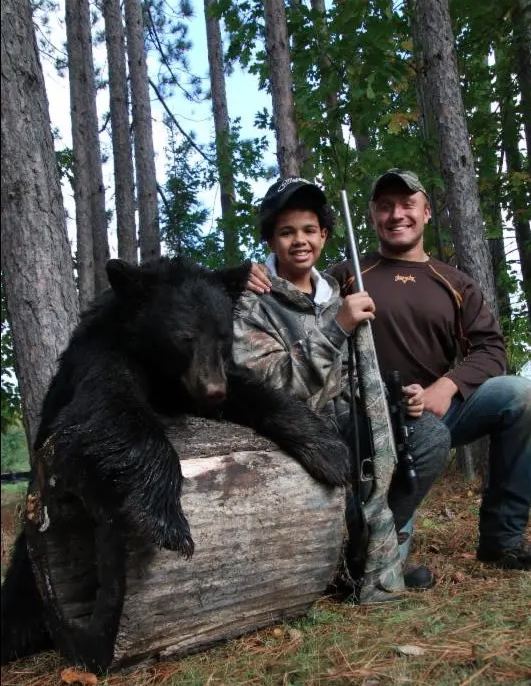 We have done everything from ice fishing and archery shooting together to traveling to northern Wisconsin where he would harvest his first black bear on one of the most exciting hunts that I have been a part of! On the morning of the Kicking Bear Adventure Day event this December at La Crosse Archery, all of the volunteers were gathered in a meeting to decide which station they would be at to guide the youth in attendance. When asking who would be a guide on the archery range, Takobie was the first to raise his hand. It was at this moment that I realized how God has brought my relationship with Takobie full circle. 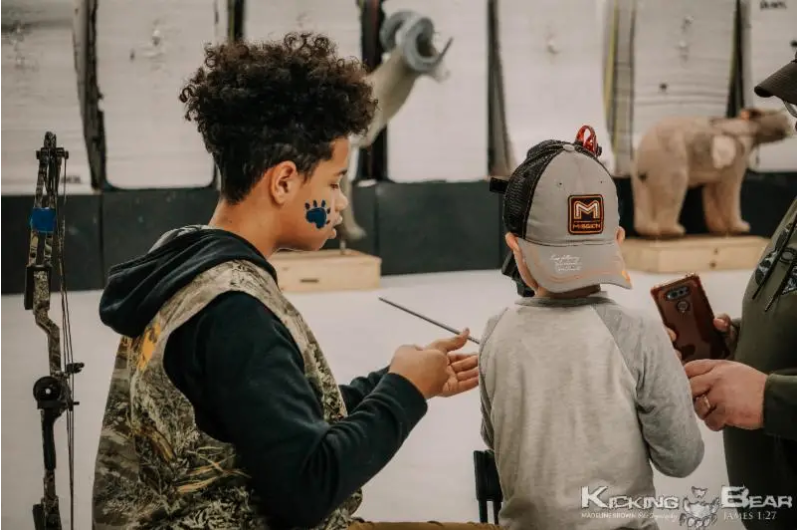 This nearly brought me to tears to see the transformation of a shy young boy who, just two years ago, had never shot a gun or bow in his life to him stepping up to mentor other kids who may have grown up in a similar situation as he had. Takobie spent the entire day teaching other youth proper archery shooting form and techniques. In January 2019, Kicking Bear is launching a brand-new mentorship program in hopes to create more success stories like this and have a greater impact on those who need us most. 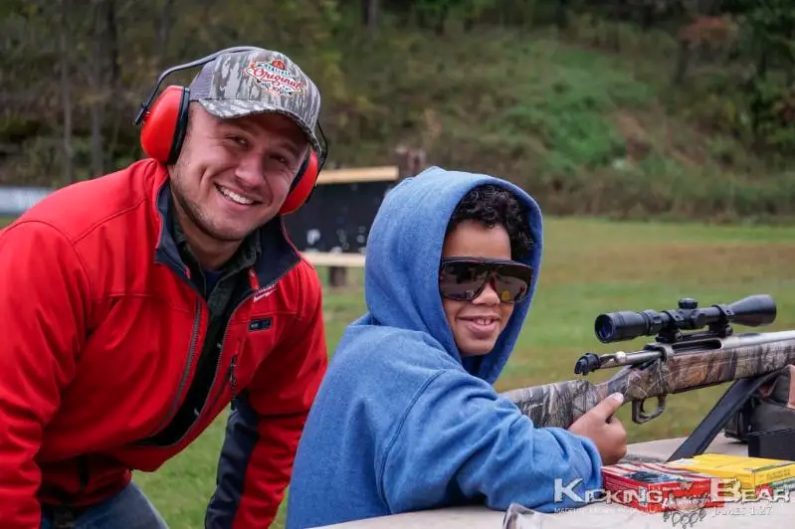 In this new program, a godly mentor will commit to mentoring a kid for a minimum time period of one year and participate in an outdoor activity with them at least once per month. This provides a great opportunity for godly outdoorsmen and women in the community to give back to those who wouldn’t have otherwise fully experienced God’s beautiful creation. If you consider yourself an outdoorsman, I can almost guarantee there was a single person in your life mostly responsible for introducing you to hunting or fishing, whether that be your mother, father, aunt, or uncle, brother or sister. Who had to shake you out of bed when the alarm sounded bright and early, who taught you to shoot a gun or bow, who was sitting next to you when you harvested your first animal or caught your first fish. The harsh reality is that not all youth are blessed with that person in their life. It is our mission to change that. We are actively seeking mentors and mentees to be a part of this exciting new program. If you or someone you know may be interested in joining or learning more, please take a moment to forward this newsletter to them. To receive more information, please email info@kickingbear.org with the subject “Mentorship.” God Bless!